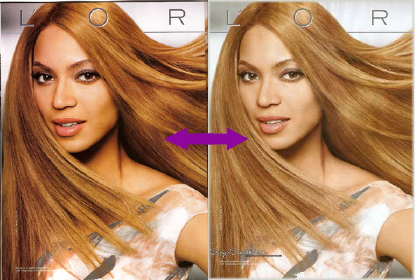 Beyoncé has been accused by critics in the past for “whitewashing” her image in photos. First it was her L’Oreal ad (see ad below) and now this promo pic for her album 4 above. Personally, I don’t see anything wrong with the picture. It could be all the retouching LoL. What do you guys think? Please share your thoughts!